Deer Antlers And Jacked Up Squirrels Or Has The Media Lost Its Mind? IGF-1: DEER ANTLERS AND JACKED UP SQUIRRELS OR HAS THE MEDIA LOST ITS MIND? With the Super Bowl upon us, the media feels that we need to be entertained at all costs, even if that means to do absolutely no research anywhere. Case in point: the so-called deer antler spray scandal, supposedly involving Ray Lewis and other well-known athletes. What is the scoop? According to several news outlets, these athletes used deer antler spray (yes, you heard that right) in order to obtain a dose of IGF-1 to perform better. Another PED story in professional sports, so it must be true, right? After all, it was on TV and if I remember correctly, Homer Simpson once did say, “TV never lies”? Let’s take a closer look at all this. First off, what is IGF-1 (or Insulin like Growth Factor)? In short, it is a very powerful peptide hormone, consisting of a long string of amino acids. 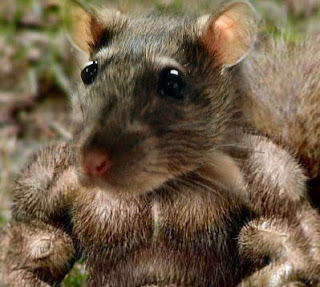 In rats, the substance has shown to increase muscle mass (even cause hyperplasia or the creation of new muscle cells) and to decrease adipose tissue or body fat. But before you go out and start chewing on some random deer, consider this: most humans do not have any rats in their family tree (what you think of your cousin has no bearing here for the moment). So what works in animals doesn’t and often don’t work for humans. Furthermore, IGF-1 is a very fragile substance that cannot be dropped or shaken without losing its potency and needs to be stored in a cool temperature. I highly doubt that the makers of deer antler spray followed any of these guidelines. Lastly, and most importantly, IGF-1 only works via intramuscular injection, so a spray or topical cream is just a complete waste of money. ESPN and others could have found all this out within a click of a mouse, but I guess the story was to tempting to do so. There you have it, another myth busted! Previous post: CARDIO ON AN EMPTY STOMACH: DOES IT BURN MORE FAT? Next post: THE HCG DIET: TOTAL AWESOMENESS OR UTTER STUPIDITY?